If you cancel more than 100 days before the start of the program, we will refund you 100%, no questions asked. If you cancel between 99 days and 60 days, you will get 50% credit toward Le Foodist activities to be used within two years from the date of the program you had registered for. If you cancel 59 days or less before the program we will unfortunately not refund you any money. In all cases however, if you are able to find people to replace you in the program you were going to attend, we will reimburse you in full for the number of people you will have found provided they actually attend the program. There will be no exceptions, including in the case of such traumatic events as a death or sudden illness in your family or a terrorist attack somewhere in Europe. If Le Foodist were to cancel for any other reason than ‘an act of God’ or ‘force majeure’, we would refund you all fees paid to Le Foodist. The costs of any travel arrangements you may have made would however not be reimbursed by Le Foodist. For all refunds and cancellations which fall outside of the responsibility of Le Foodist as defined here, please manage with your personal travel insurance. You can obtain Travel Insurance from your local travel agent, or by searching the web. Do I get a partial refund if I do not participate in some of the activities, meals or classes? There will be no partial refund for not participating in some of the classes or activities – whether by choice or because of illness or any external circumstances. Will I need cash during the week? When we go to local markets you might find vendors who do not take credit cards, and this is when cash will be handy. However in most locations we will visit you should be able to purchase anything with a credit card. Will I be able to use any non-Euro currency (GBP, USD, AUS, etc…) during that week? The short answer is no. Your cheapest way to get Euros once in France will be to withdraw cash at an ATM with your credit/debit card. Be sure you have a four digit pin activated with your credit/debit card to do so. 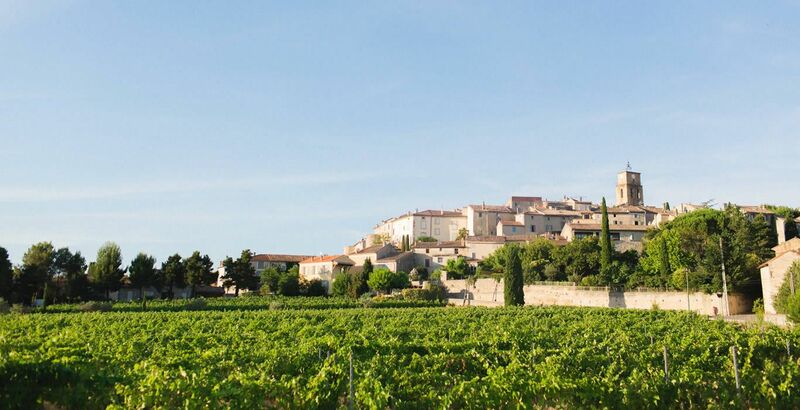 You can withdraw cash either on arrival in Paris, in Avignon, or even in the village of Sablet. This will be the best exchange rate you will get – rather than changing at tourists booths in the airport or in Paris for example. However, you should be able to pay with credit card in most places – it will only be at the producers market and maybe some specific shops in the Provençal market that it will be necessary to have cash on hand for purchases. How much will it be for my traveling companion who is not interested in taking the classes? As the space at the Villa is limited, while we will be happy to welcome your traveling companion for all meals and activities, we can not offer a discount for his/her non participation to the cooking classes. You will need to pay 50% of the amount as a deposit at the time of booking, and the other 50% at the latest 60 days before the start of your week. All payments are to be made by wire transfer with details we will provide. When does the week start and end? We will pick you up from Avignon TGV station on Sunday at 11:30 am. We will then have lunch at the Villa, a quick cooking class in the afternoon and later a welcome dining cocktail to get to know each other, go through what the week will entail, and answer any questions. The week will end on Saturday morning at 09:30 am when your transport will depart from the Villa to get you back to Avignon. How much will we cook through the week? We will cook every day (Sunday to Friday), and sometimes twice a day. There is no cooking level pre-requisite to participate – except a genuine enthusiasm for learning in general, cooking in particular. And an interest in French culture will make the whole thing even better. Do I need to bring any cooking equipment or attire? We will provide all that will be needed to cook. If however you want to bring anything that you particularly like to cook with (knives or apron for example), you are welcome to do so. Will we get the recipes of what we cook? We will be sending you the recipes of what you will have cooked after the week is finished. What is the minimum age requirement to participate? As per our regular classes in Paris, we welcome children 12 years and above provided they are each accompanied by a participating adult. We can not make exceptions, sorry. Can my partner join me without participating to the cooking classes? Yes, your partner can join you for all activities, excursions and meals without actually cooking. As the place in the Villa is limited though the price will be the same. Can my (non-participating) partner join all meals with the group? Your traveling companion who is not interested in cooking can join all the other activities, including of course all the meals and tastings. How much wine is included in the offer?? 1/3 of a standard bottle of wine (75cl) per person and per meal (lunch and dinner) is included in the price. How do you accommodate specific dietary requirements? As our goal is to use a wide range of seasonal and local ingredients, and share a variety of different techniques there is a high chance you will get plenty to learn and eat. But you should assume this will be an omnivore week, where dairy and flour for example will be used regularly. However, if you have specific dietary requirement you would like to share to confirm how that would work, please do not hesitate to email us. We will provide aprons during the classes and you just need to be comfortable. Shorts, skirts or trousers – it is all OK with us, and up to you. Chances are it will be sunny and quite hot in the sun (or by the swimming pool) during the day, but it will be cooler at night. So plan for a sweater, shawl or light jacket for the evening. You should also plan footwear adequate to visit large markets and a couple of local farms and fields. When we go out for dinner you will probably feel most comfortable dressing up a bit on that occasion – “business casual” comes to mind, where casual is really the key word. Last but not least, there is a beautiful swimming pool, so you should plan the adequate attire to enjoy that as well. Smoking is not permitted anywhere in the Villa or during transportation to and from the various activities locations. The smoking policy at the locations we will visit varies by location. Will we have TV in our rooms? Can I bring my dog or any other animal? Can I use my phone while in France? Please check with your cell-phone service provider on how to get an international plan. Will we have Internet WiFi connection in our rooms?